In December 2016 – the Fed raised interest rates for the first time in 2016 and the second time in a decade. 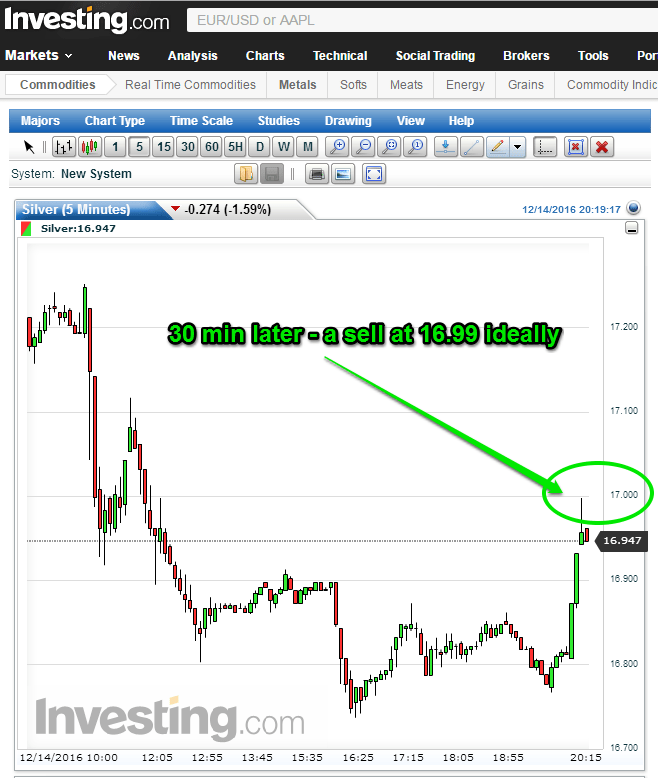 Silver was trying to break over 17.3, but failed. It closed below 17.0 — but followed overnight was even worse as it broke below 16.8 support. 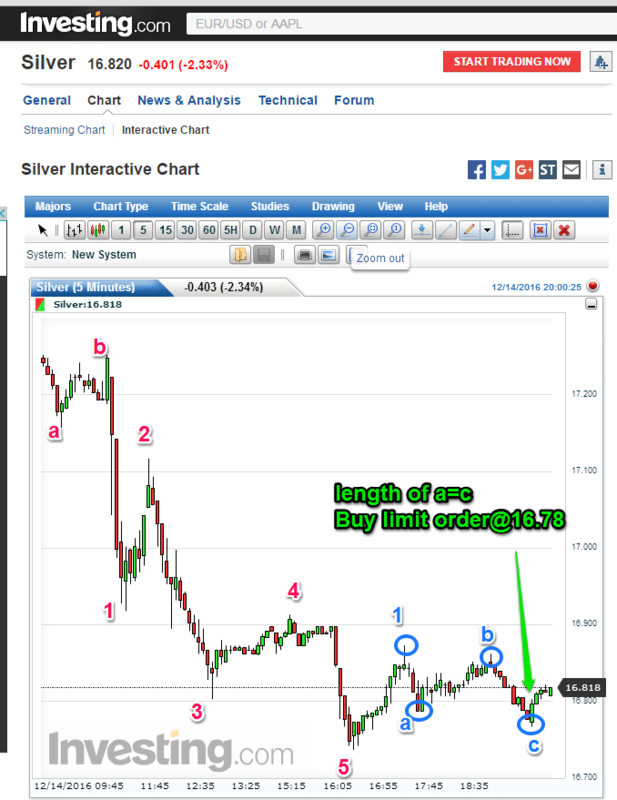 From there, it experienced a wave 2 spike towards 17.0 before collapsing down 7+% below 16.0 towards 15.9. Here’s what it looked like a few hours after the Fed announcement @ 2pm that Wednesday – this is after the close that day. Initially, it appeared that 16.75/16.8 support was holding, but then here’s what happened overnight into the next day you see that big red candle piercing from 17 to below 16? 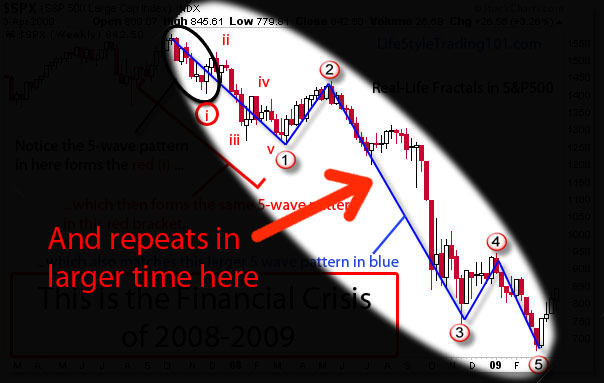 Notice that around 4pm EST – the market closed just after completing its 3rd wave. Often, the market does this – it rarely actually completes the full 5 waves, especially when the Fed announcement was just 2 hours earlier. So then what happens is we get a 4th wave bounce from 16.8 towards 16.93 into the evening, but then around that 9pm time period, that 5th wave goes down and breaks the 16.8 support. That’s our first sign that support is broken. 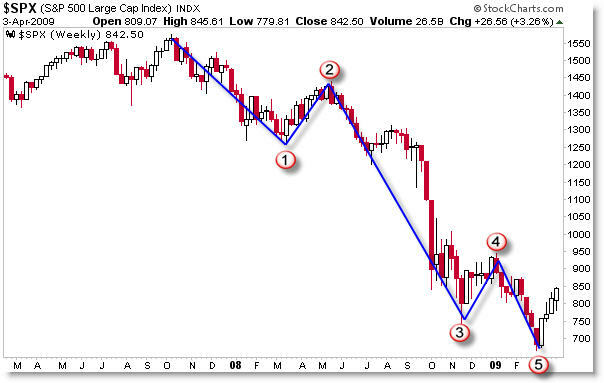 While it’s possible this could stage a rebound – at this point, any quick bounce should be sold. If what we experienced was a 5-wave impulse down, then we should get a 3-wave bounce – ideally just above the top of wave 4 at around 16.92. It turns out that bounce was the only chance to exit before the wave 3 crash – because there was a quick drop and then a retest of where that fast rally began — in that 16.81 region. The left portion where the drop occurs as the Brexit votes are counted – is an impulse down. Zooming out – this is what it looks like — a massive 121 ES point drop in a few hours that triggered circuit breakers at 1999. 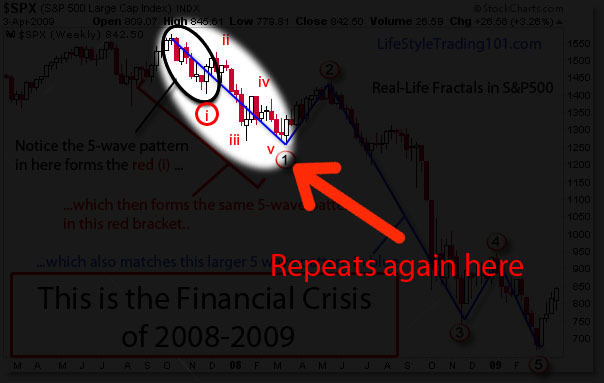 Perhaps the best example of the impulse wave down is the 2008-2009 financial crash. 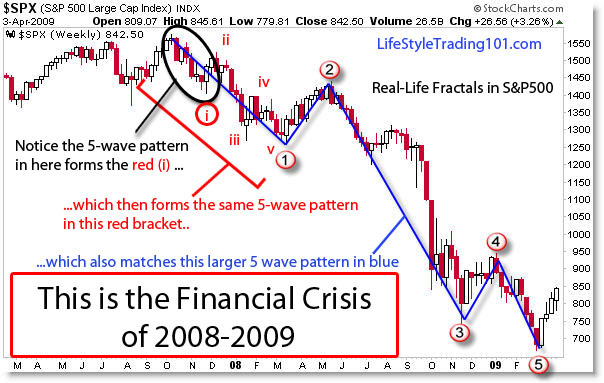 Here’s the chart pattern of the 2008 crash – an impulsive 5 wave pattern from 1550 to 675 (more than 50%). 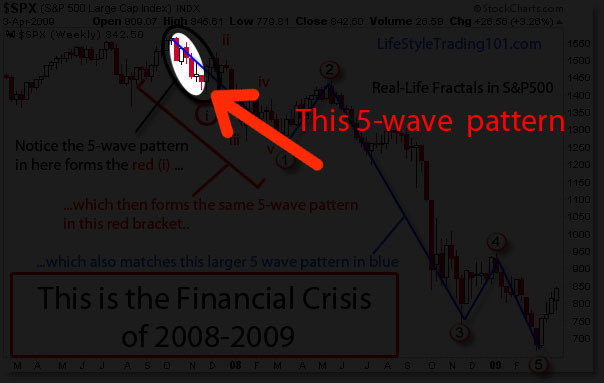 The smaller 5 wave pattern appears also in the larger time frame — a pattern within a pattern.